In this biennial show, members from CAC satellite, the Douglas County Art Guild, exhibit selected works from the last two years. Hosted by the Sweetwater Camera Club, the reception will be held on Thursday, May 3rd from 6-8 pm. Come see the variety of art styles that come from this diverse group of artists. On view May 3rd – June 22nd during regular gallery hours (Monday-Friday, 9 am – 5 pm). 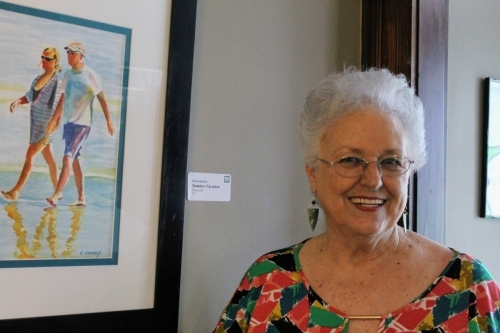 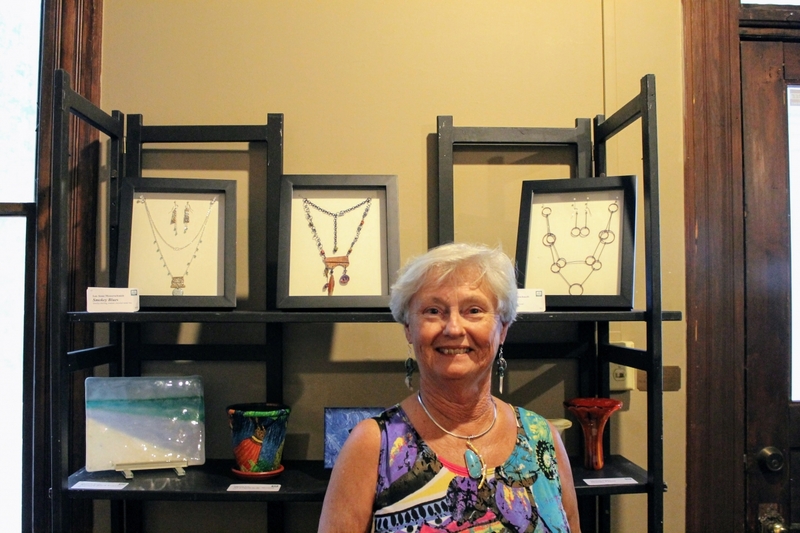 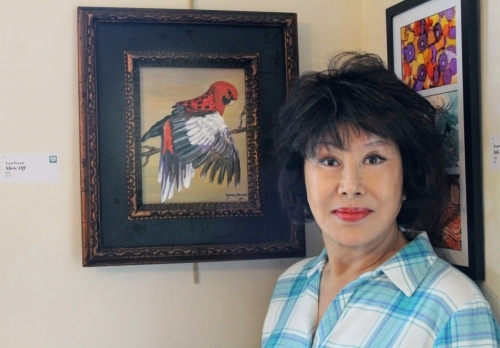 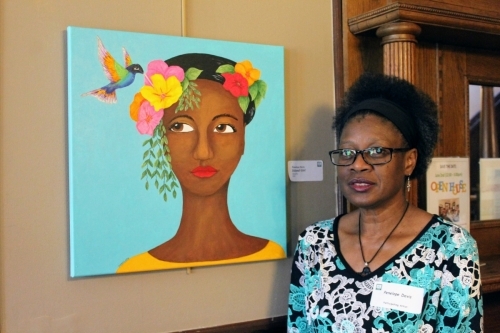 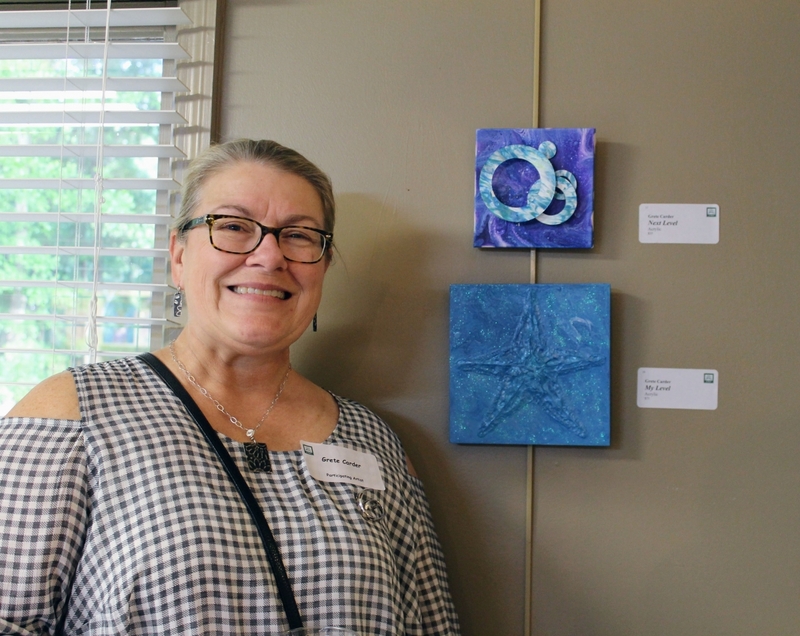 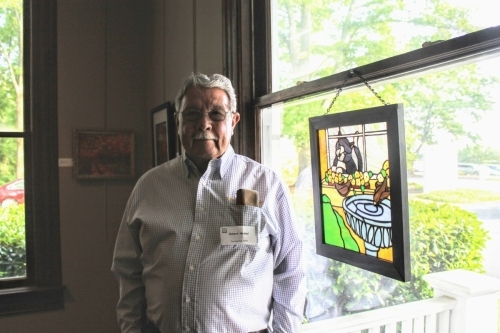 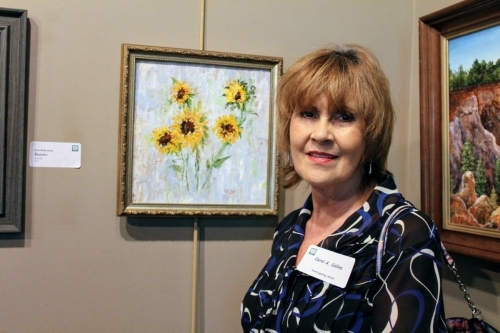 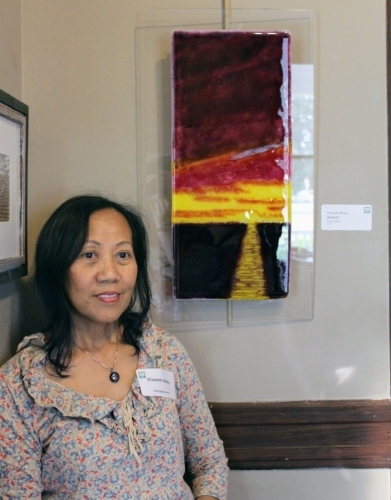 Douglasville, Georgia – The Cultural Arts Council of Douglasville/Douglas County presents recent works by members of the Douglas County Art Guild, a CAC Satellite, during the months of May and June. 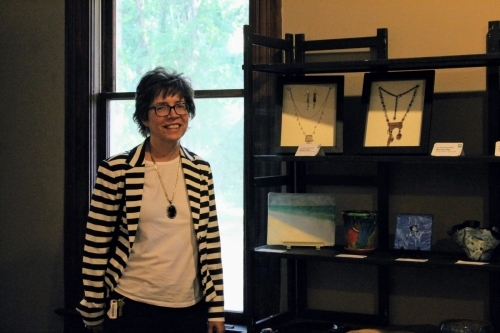 The exhibit will feature works in a variety of media– including acrylic, photography, jewelry, mixed-media, fused glass, oil paint, and sculpture. 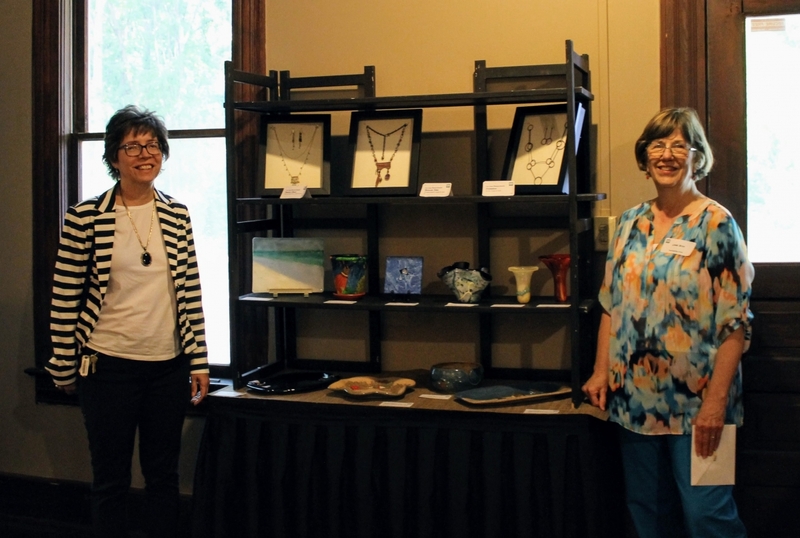 The exhibit opens on Thursday, May 3rd and will remain on view through June 22nd. 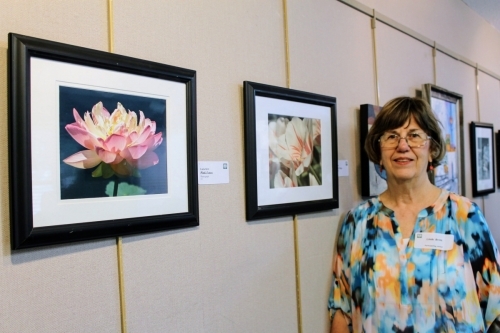 The opening reception, hosted by the Sweetwater Camera Club, a local photography group and CAC satellite, will be held on Thursday, May 3rd from 6-8 pm at the Cultural Arts Council. 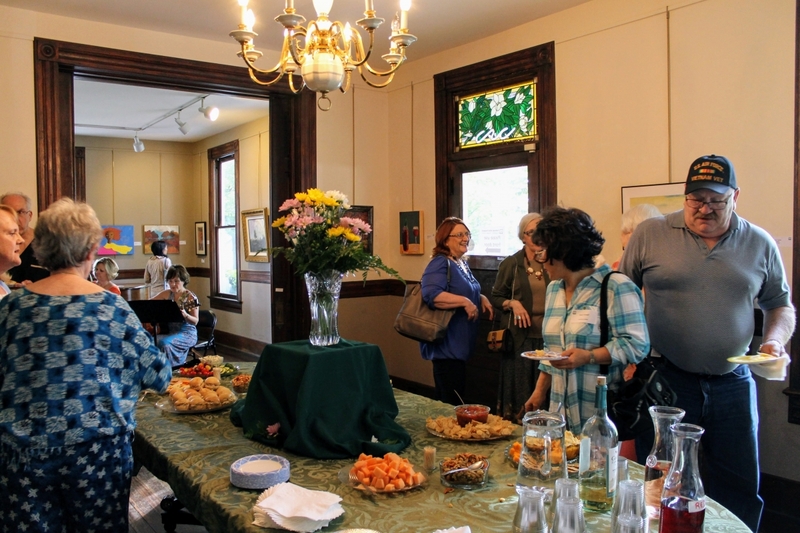 Reception, gallery admission, and tours are free and open to the public. If you’re interested in a guided gallery tour, please call the CAC to schedule an appointment – 770.949.2787. 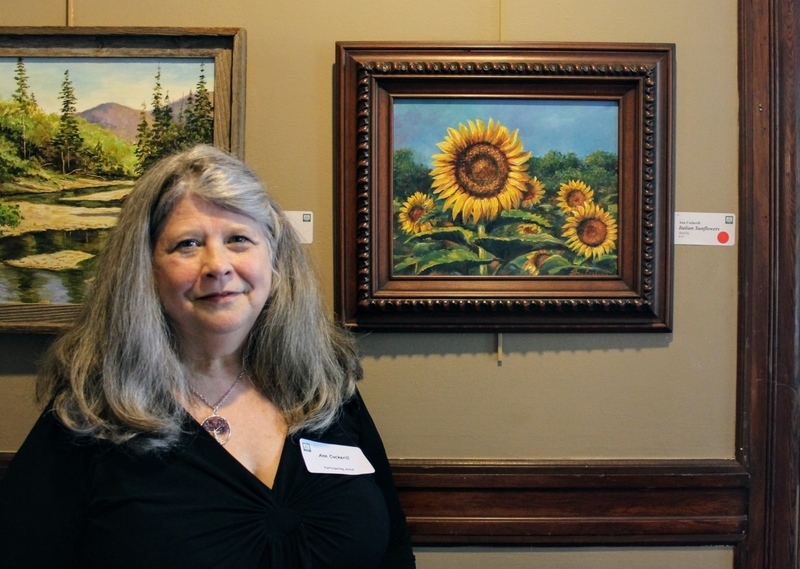 The Douglas County Art Guild, founded in 1973, is an organization composed of practicing artists and friends of the visual arts in Douglas County. 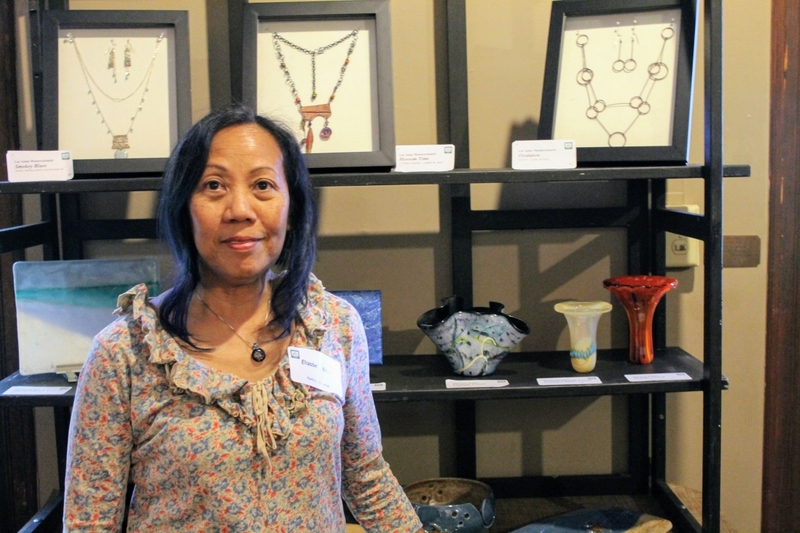 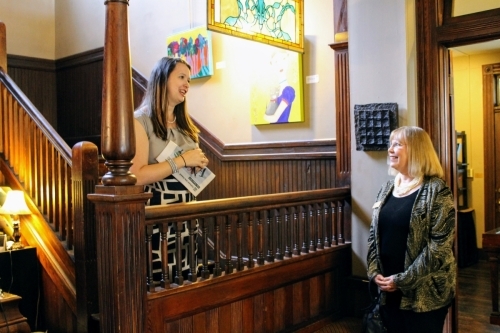 The organization’s mission is to promote the arts in the community while advancing local artists through networking and exhibition opportunities. The Guild provides informative lectures, notable speakers, and educational demonstrations across all mediums in an effort to stimulate and inspire its members. 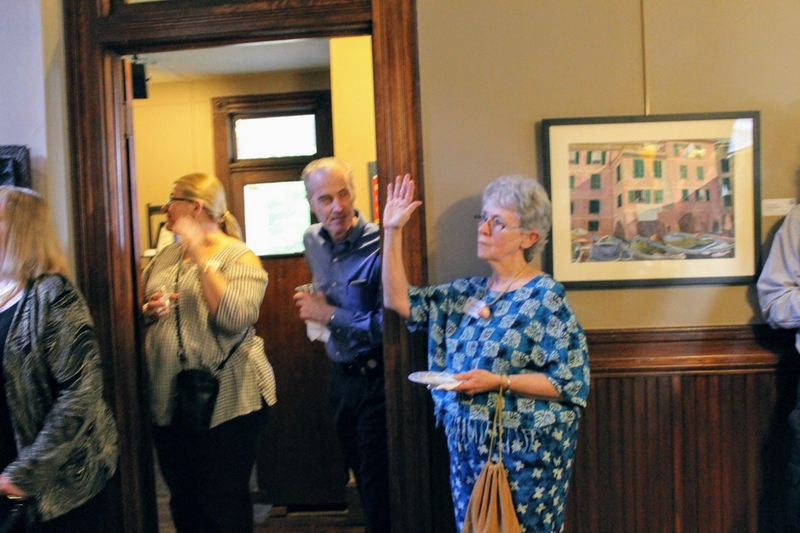 Meetings are on the first Tuesday of each month at 6:30 pm at St. Julian’s Episcopal Church, 5400 Stewart Mill Road in Douglasville. As well as being a long-time member of the DC Art Guild, Elizabeth Mobley is the CAC’s resident teaching artist in glassworks. 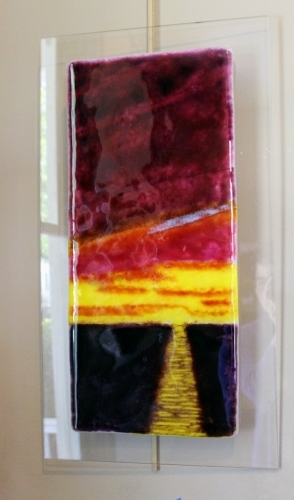 She makes beautiful fused glass panels and housewares, including these unique vases with swirling colors and floral elements. 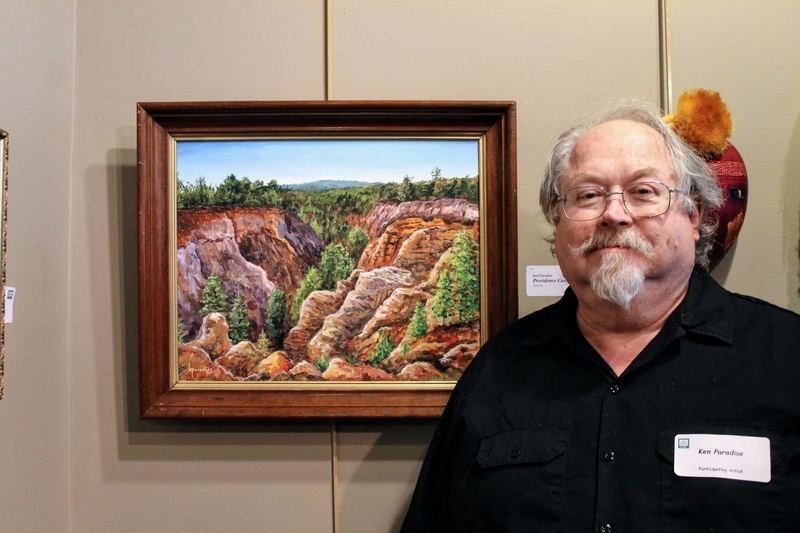 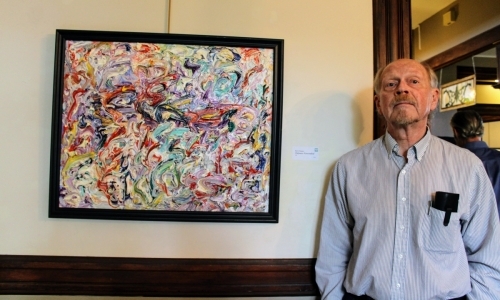 Ken Paradise’s acrylic paintings, such as Keeping Sigmund, capture memories of everyday life and nature as seen through the eyes of a painter. 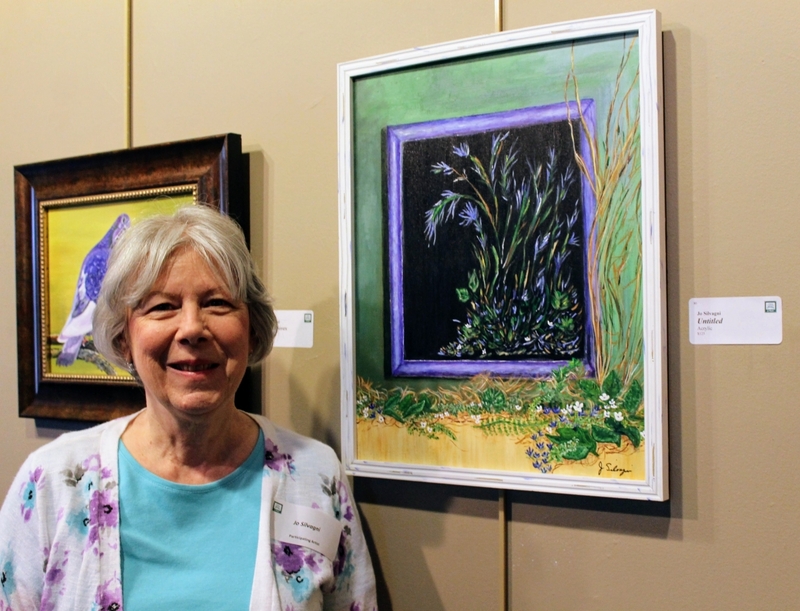 Using naturalistic color and careful brushstrokes, Paradise portrays moments that may have otherwise been lost in time. 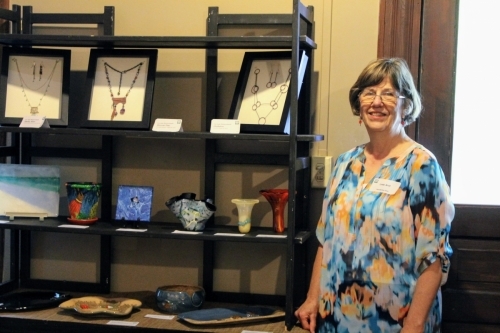 Jane Ballou uses gourds as her main medium. 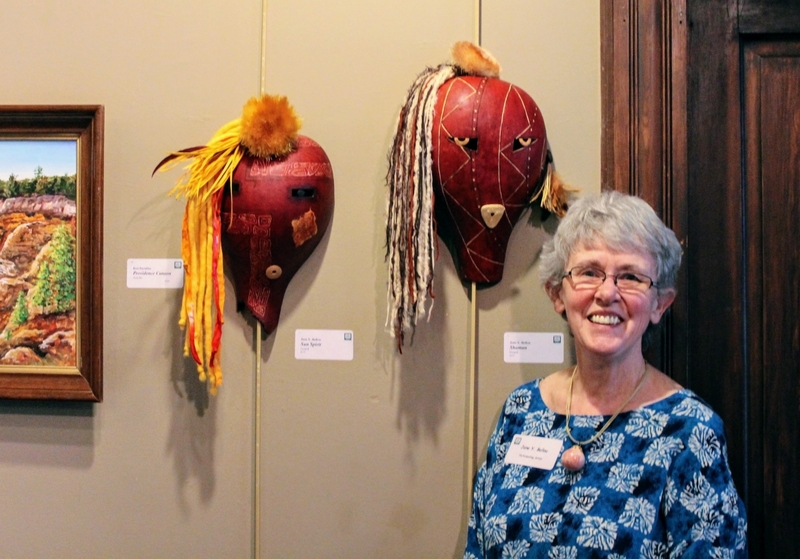 Using natural shapes and fibers, these masks, Sun God and Shaman, are evocative of tribal native artwork used in ritual ceremonies. 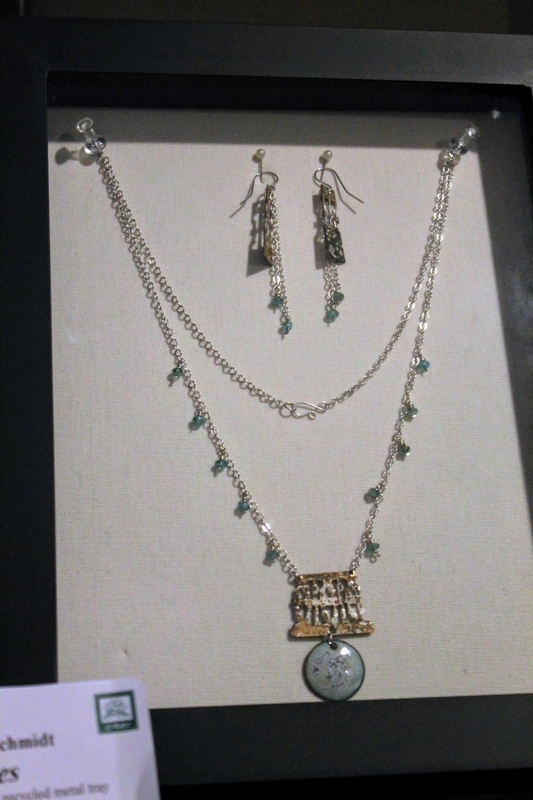 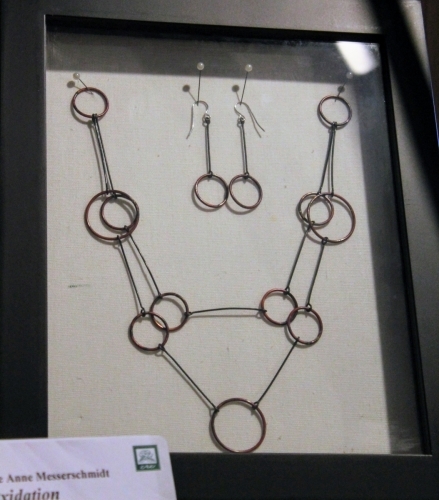 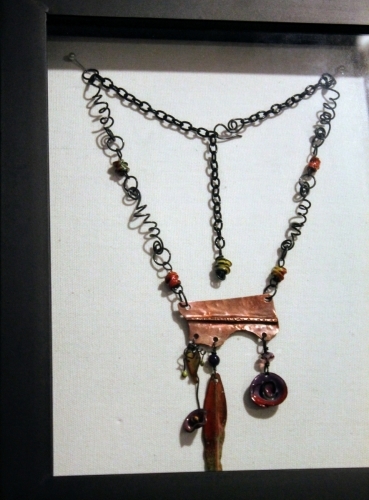 Ballou was also featured recently in the CAC’s Pop Up Arts Shop. 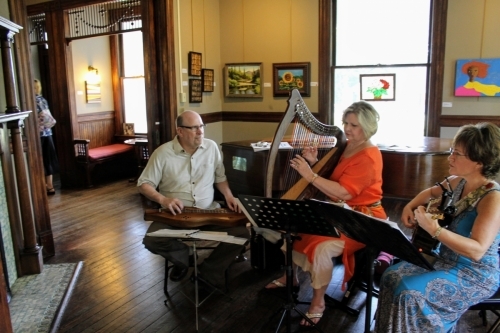 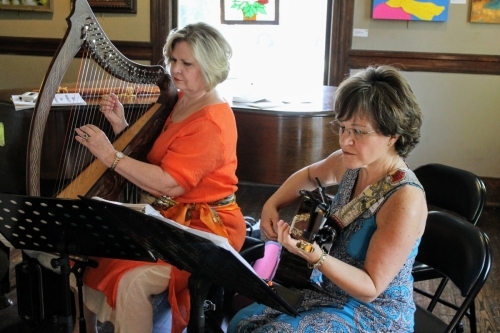 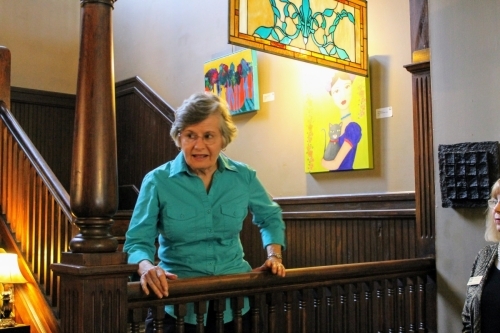 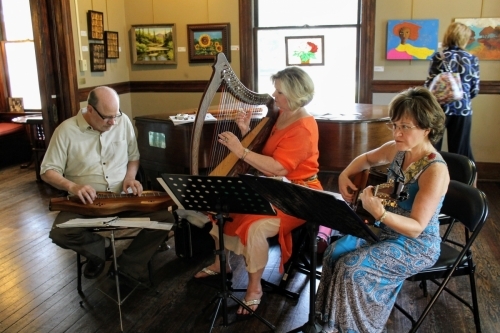 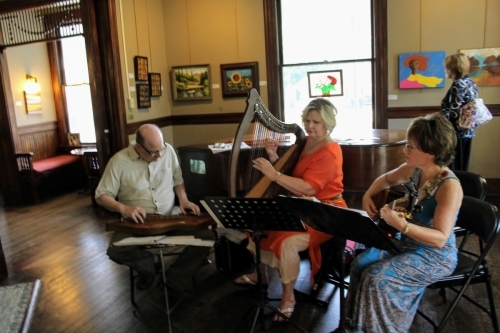 The Cultural Arts Council of Douglasville/ Douglas County, located at 8652 Campbellton Street in historic downtown Douglasville, Georgia, is open Mondays through Fridays, 9 am to 5 pm. For directions and more information, visit www.artsdouglas.org or contact the Cultural Arts Council at 770.949.2787.